I am not sure why I drew this, it just sort of fell into existence while I was doodling on my machine. So I neatened it up a little and made it into a little cartoon of sorts. 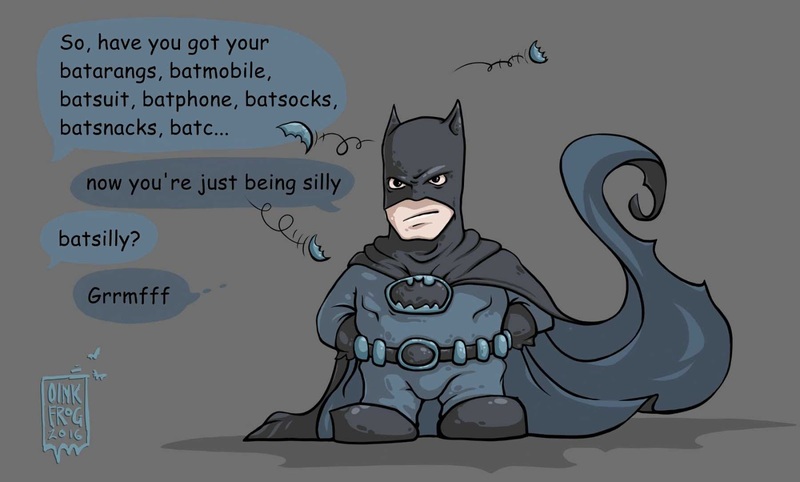 So here is a squat unimpressed little Batman!